If President Donald Trump came to Washington to upend the system and bring radical change, so far he has failed miserably at the Pentagon. At the start of his second year in office, here’s the record: Trump ran on a promise to pull America out of foreign wars. Instead, as commander in chief he has continued or increased the U.S. military’s presence and fighting in Afghanistan, Iraq, Syria, and across the Middle East and Africa. U.S. special operations forces are still operating in 90 countries. Trump disparaged NATO to the point that some allied leaders questioned its future and America’s commitment to defend Europe. Instead, the U.S. has bolstered its support for the alliance and increased troops and firepower along Russia’s borders, from the Arctic to the Black Sea. Trump’s critics worried he would bend toward Russia, given his resistance to investigations of his campaign’s cooperation with Putin’s anti-American intelligence operations. But in Eastern Europe, the U.S. military has added exercises, rotational troop deployments, and patrols, deterring and preparing to respond to Russian provocations. 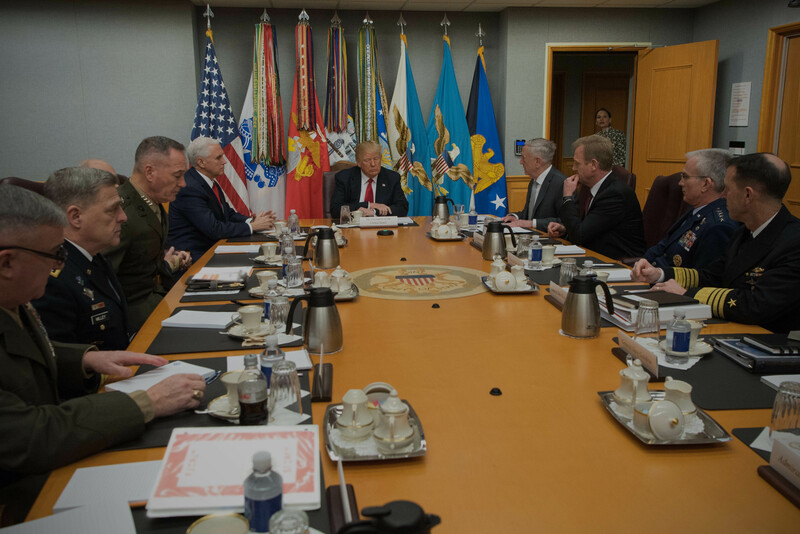 Above, President Trump speaks with Defense Secretary Mattis and senior leaders during a Jan. 18 meeting at the Pentagon. Mattis waits for Trump and Vice President Mike Pence on Jan. 18 at the Pentagon. In Washington, Trump promised the Defense Department a massive “rebuild,” from manpower to ships to aircraft. Some of that is in the pipeline, but his administration’s first real budget request, for fiscal 2019, shocked and disappointed some hawks. Trump’s team proposed a “modest” 10 percent funding increase ($80 billion, actually) for that year, but proposed flat spending through the rest of his presidential term. It’s a lot of money, and troop numbers will grow as expected, but it is not much of a buildup. Trump also promised to reform the Pentagon’s buying ways, but has barely moved the needle even on his early targets: the F-35 and a new Air Force One. It took the new administration and Congress nearly a year to install a deputy defense secretary, who normally has that reform portfolio, and he has barely begun to get his feet wet. Time and time again, what Trump promised to do, or what national security elites in “the blob” feared he would do, has not happened. The 45th president has been a pretty establishment-like commander in chief. Nowhere was this clearer than in the White House’s National Security Strategy and the Pentagon’s following National Defense Strategy. By most accounts, these documents laid out a vision for the U.S. not terribly different than those of President Barack Obama (and Presidents George W. Bush, Bill Clinton, and George H.W. Bush). So the State of Defense for 2018 is stable? Not exactly. Here’s what change Trump hath wrought: he approved the request of U.S. generals to loosen the reins on how the military fights terrorist groups. But as more ISIS fighters began dying, so too did more civilians. In Afghanistan, instead of ending the U.S. war, he ordered yet another American escalation, but this time with air power and specialized Army battalions that will put Americans back on the ground fighting with Afghans (as “advisors,” but outside of the wire in a way not seen by conventional forces since 2014.) Lest you think that was Trump’s leadership, know that these changes were in the works before his inauguration; they came up from senior military leaders, not from the incoming administration’s political appointees or policy leaders. Trump signed the orders Defense Secretary Jim Mattis and Joint Chiefs Chairman Gen. Joseph Dunford recommended. So 2018 is really the year that Obama's wars truly become Trump's wars. Take Syria. U.S-backed Syrian fighters did all that Washington asked of them, but now they and top American commanders worry Washington will abandon the peace. U.S. generals want the region focused on snuffing out ISIS and turning Assad (and Russia) toward a Geneva peace process. But Turkey has gone rogue, unilaterally invading Syria, killing Syrian Kurds, taking control of new territory. They have demanded that U.S. officials pull back its partner forces from northern Syria. U.S. Central Command’s Gen. Joseph Votel refuses, pledging to stand by and defend the Syrian Kurds who liberated the land from ISIS. But Trump’s White House barely mentions the conflict and his war cabinet has done little to get Turkey to turn around and go home. Just the opposite, in fact — after Erdogan threatened to kill American troops with an “Ottoman slap” at Manbij, Secretary of State Rex Tillerson and Defense Secretary Jim Mattis went ahead with meetings with Turkish officials, smiled, shook their hands for the cameras. NATO allies (with key air bases and nuclear stores) come first, it seems. Trump also has continued to use a type of rhetoric unheard of by any Western leader, much less an American president. Exhibit A: North Korea. The president has provoked, prodded, practically dared (remember the bigger nuclear button?) North Korea’s Kim Jong-Un to keep pursuing nuclear weapons or else the U.S. would — do something. This month, the New York Times documented how serious Trump’s team has become about Pentagon options for military strikes to stop Kim’s nuclear goals. Even the doomsday clock ticked closer to midnight, Hawaiians kissed their loved ones goodbye during a false alarm. This is the landscape in which the Pentagon is operating into 2018. Below are four looks into the year ahead for the Army, Air Force, Navy, and Marine Corps — all of which are receiving new missions from the new political bosses and new promises. From new units to new conflicts, new technological problems, and an overweight recruiting pool, the U.S. Army has a big plate of challenges heading into President Donald Trump’s second year in office. 2018 began with a brand-new national defense strategy that seeks to pivot the U.S. military from fighting terrorism to great-power dynamics. It’s a year in which ISIS begins with no caliphate in Iraq and Syria. But that doesn’t mean the 7,000 or so U.S. troops spread across the two countries can leave tomorrow. The administration’s intent to change the direction of the war in Afghanistan, now in its 16th year, calls for thousands more American troops — including hundreds reportedly headed into areas of hostilities with rushed training and preparation. American soldiers are training Ukrainians with powerful new Javelin anti-tank weapons that could, by proxy, bring the U.S. into confrontation with Moscow and the separatists it backs on its western border. The number of American troops in Somalia more than doubled in 2017. And of course, there is the Trump administration’s drumbeat of war with North Korea over its nuclear weapons program, a conflict which could imperil the nearly 40,000 American military personnel in Japan and South Korea. Amid all these conflicts, the Army is also facing the largest recruiting challenge in two decades. The task: add 80,000 soldiers to replace retirees and separations as the service grows by 7,500 active troops to 483,500 by the end of September. It’s a tall order that has some leaders concerned over the quality of those who may sign up. 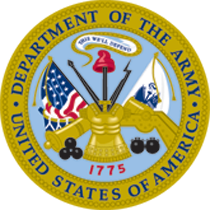 “The Army has not accessed 80,000 new recruits in the last 20 years without violating Department of Defense quality benchmarks,” Maj. Gen. Jeffrey Snow told Defense One in October. 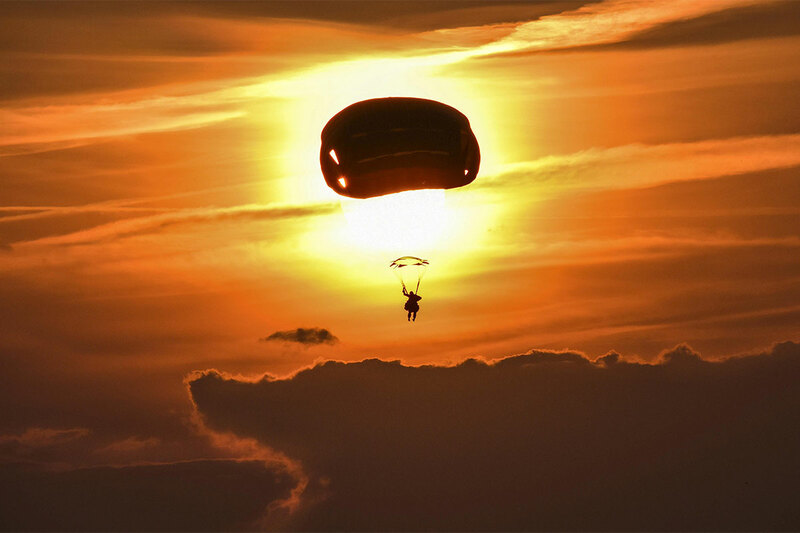 Above, paratroopers land during an exercise in Italy on Sept. 26. 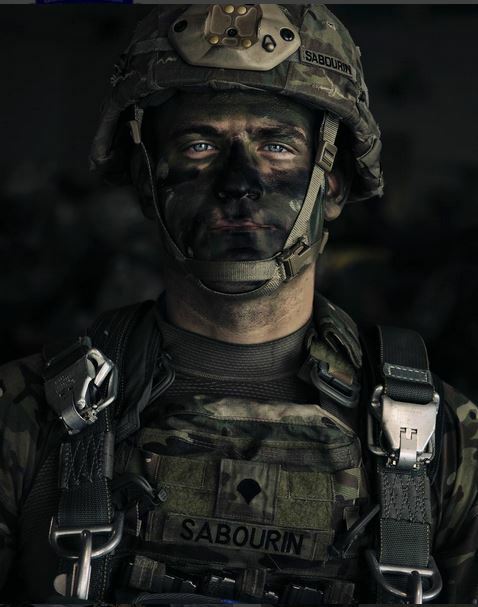 A paratrooper from the 173rd Airborne Brigade in September 2017. Getting folks to sign up is one thing; ensuring they are fit enough to last is another. Only 27 percent of Americans age 17 to 24 are slim enough to meet the minimum standards to enlist in the Army, according to a January report from The Citadel, a military college in Charleston, S.C. And as the authors warn, the costs quickly add up — more than $31,000 for each separated soldier. For now, Army Chief of Staff Gen. Mark Milley, is looking beyond all that. “Someday, somehow, somewhere the United States Army might have to rapidly expand,” Milley said at a recent speech before the Association of the U.S. Army in Washington. And that’s where the new units that are headed to Afghanistan come in. Dubbed Security Force Assistance Brigades, or SFABs, they are part of Milley’s plan to stop breaking up traditional brigade combat teams for piecemeal combat advisory deployments. At least one of these new units, each with about 700 soldiers who volunteered for the work, have already deployed to Afghanistan. “The Army’s current security forces assistance brigade concept can work, but the Army has to go all in and stay all in,” one senior noncommissioned officer with multiple combat tours told Defense One. "This can't be a novel, quick cure — the SFABs have to be in it for the long game." 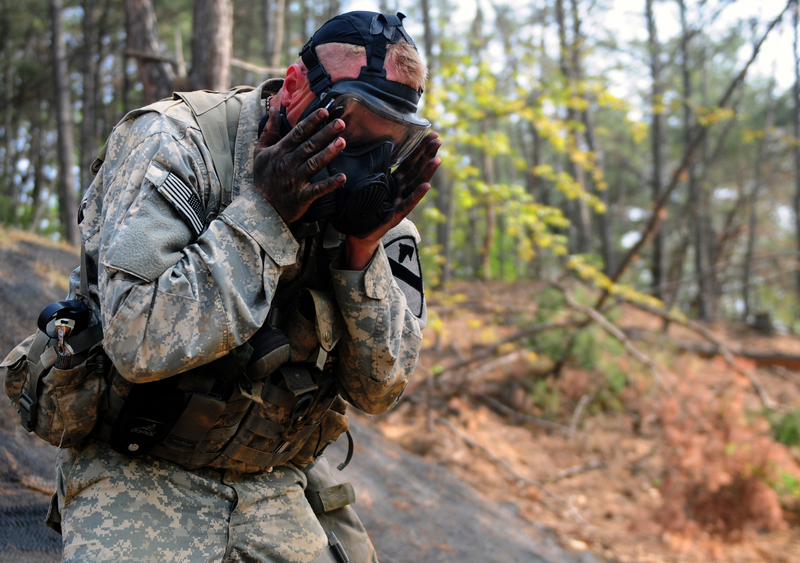 Training for chemical weapon attacks near the Korean Demilitarized Zone in April 2016. To accomplish this, Milley has broken down his efforts into a few tracks for the years ahead: “To develop the next-generation combat vehicle, and future vertical lift” — that is, the helicopters of tomorrow. Milley is also looking at ways to improve ballistic missile defense and “close-range missile defense,” capabilities his Army would badly need for a conflict with North Korea. That goal is becoming more difficult as lethal and surveilling drone technology continues to spread to non-state actors like ISIS and al-Qaeda — even triggering a ban on Chinese-made consumer drones on U.S. Army bases stateside. Complicating matters further, we learned in January that soldiers’ use of smart devices appear to pose enormous risks to operational security on outposts, bases and installations around the globe, from the war on ISIS to training grounds in Virginia. Milley’s technology goals could also hit snags in Congress, a point that doesn’t escape the senior NCO. “The Army is focusing on modernization right now, but without appropriate funding from Congress, the service can focus all it wants, it won’t happen. 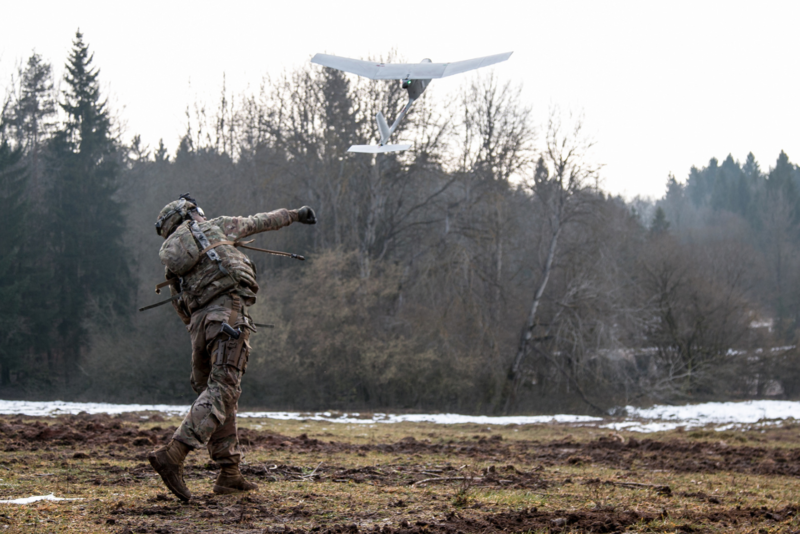 Launching an unmanned RQ-11B Raven at Hohenfels Training Area in Germany on Jan. 26. Another officer agreed, but said his concerns have turned to how the Javelins could alter the conflict in Ukraine. That’s a challenge that could dramatically escalate tensions with Russia as early as this summer, he said. By that time, Russian-backed separatists could have a more difficult time replacing lost tanks without revealing where they are coming from. It’s a scenario U.S. Army officials will be watching closely as they continue to rotate brigades in and out of Europe in the months ahead. Despite the vast array of challenges, the officer said, he doesn’t lose that much sleep over any of it. “I’m not spent, by any means. I think the Army remains committed to its people and to the nation." Operationally speaking, 2018 ought to be a back-to-basics year for a naval service shaken by a string of deadly mishaps. 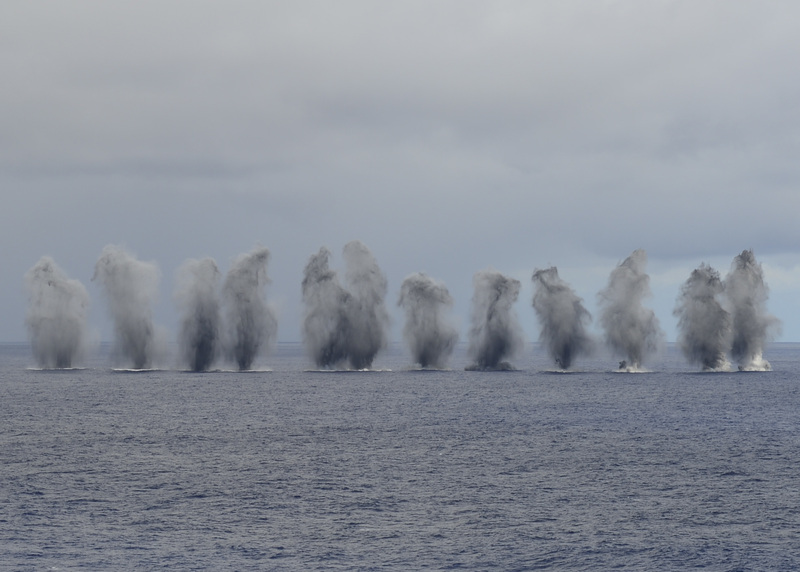 The Navy’s reports on the separate collisions of two Pacific Fleet destroyers were devastating in their descriptions of ships gone slapdash. But even as the Navy fired the commanders and other crew members, heads also rolled at higher echelons. Perhaps this presages an oft-suggested effort to reduce the workload on sailors and their ships. But it’s hardly clear that the surface force will be able to push back on fleet commanders, combatant commanders, and a national-security establishment that still wants to do it all. “Doing it all” in 2018 means the traditional presence missions that reassure allies and deter adversaries, the submarine deterrence patrols, the intelligence-gathering that goes on under, on, over, and way, way above the water’s surface. There are never enough naval assets to do everything the cocoms want, but the Navy is being especially stretched these days by demands for more counter-China patrols in the South China Sea, more missile-defense missions around North Korea and elsewhere on the globe, more presence in a warming and increasingly contested Arctic, more sorties to keep an eye on Russian vessels, more deployments off Yemen, and still more beyond that. 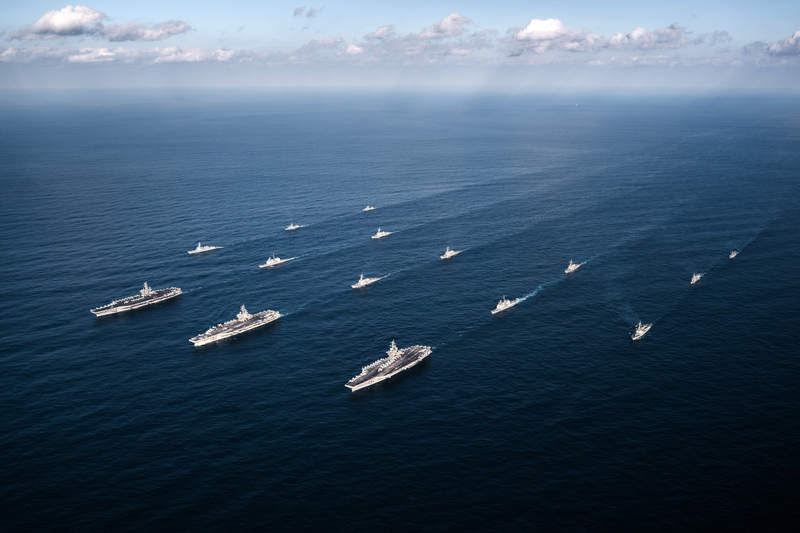 Above, the aircraft carriers Ronald Reagan, Theodore Roosevelt, and Nimitz sail with ships from the Republic of Korea Navy in the western Pacific Ocean in November. 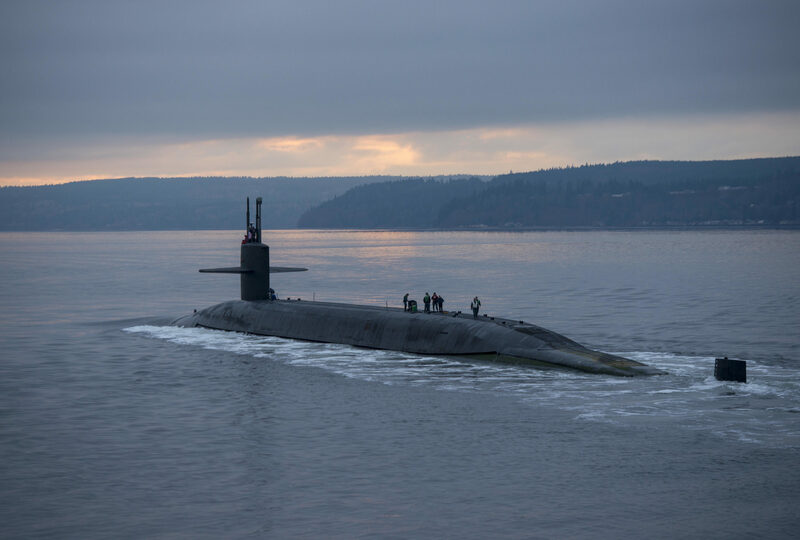 The Ohio-class ballistic missile submarine Pennsylvania sails to Naval Base Kitsap-Bangor, Wash., in December. Much talk has centered on relieving the pressure by adding ships, a proposed solution that dovetails with last year’s slew of think-tank reports advocating for a bigger fleet, Donald Trump’s campaign promises for a military buildup, and the Navy’s own goal of 355 ships and submarines. Expanding the Navy to meet the demand civilian leaders expect of it is a perennial suggestion. The fleet is already growing (along a trajectory set under President Barack Obama’s Navy Secretary Ray Mabus), from about 280 ships as Trump took office to about 300 by the end of next year. But for all its budget-cap busting, the Pentagon’s 2019 spending proposal only adds one warship to the nine already planned. The goal of 355 ships, the budget proposal tells us, is still decades away. So the chief of naval operations, Adm. John Richardson — as vigorous an advocate as any of a larger fleet — is trying to shift the conversation to a more complex understanding of naval power. 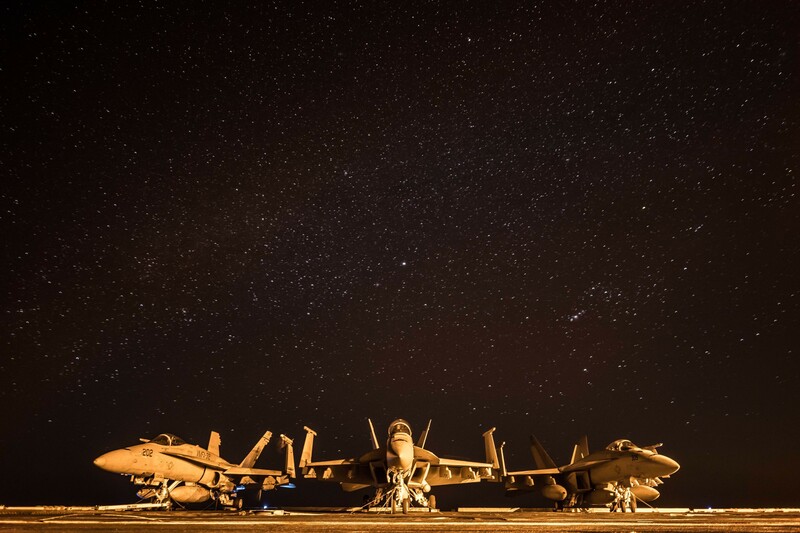 Three F/A-18 Hornets on the aircraft carrier USS Theodore Roosevelt (CVN 71) in the Arabian Gulf in December. But the Navy is already anticipating trouble finding the right kind of talent to man its ever-more-connected, ever-more-agile platforms. “Certain fields are in short supply,” including those of nuclear, aviation, advanced electronics, and cyber, the service’s personnel chief told lawmakers earlier this month. For the latter two fields, at least, the Navy is not only competing with its sister services for recruits, it’s going up against Silicon Valley. Meanwhile, the Russian and Chinese navies are expanding their own capabilities into niches where the U.S. has long had a virtual monopoly. (e.g., sniffing around undersea communications cables) and into ones that don’t yet exist (e.g., seagoing robots and artificial-intelligence decision tools for submarine commanders). To counter the former, NATO is moving to set up a new command centering on the Arctic and north Atlantic sea lanes. To keep pace with the latter, the U.S. Navy is preparing to deploy its own robot boats. As well, the Navy is moving smartly toward its next surface combatant. Compared to the service’s previous two efforts — the littoral combat ship and the futuristic Zumwalt-class destroyer — the planned 20-ship FFG(X) class appears far less technologically ambitious. Bidders were told to bring a “mature” design already in production for the U.S. or foreign navies, albeit with room and power to accommodate vertical-launch missiles and a host of other weapons and computer systems. On Feb. 16, five teams received $15 million to refine their designs and submit a fuller bid in 2019; among the winning designs are both LCS variants. Final selection is planned for 2020. 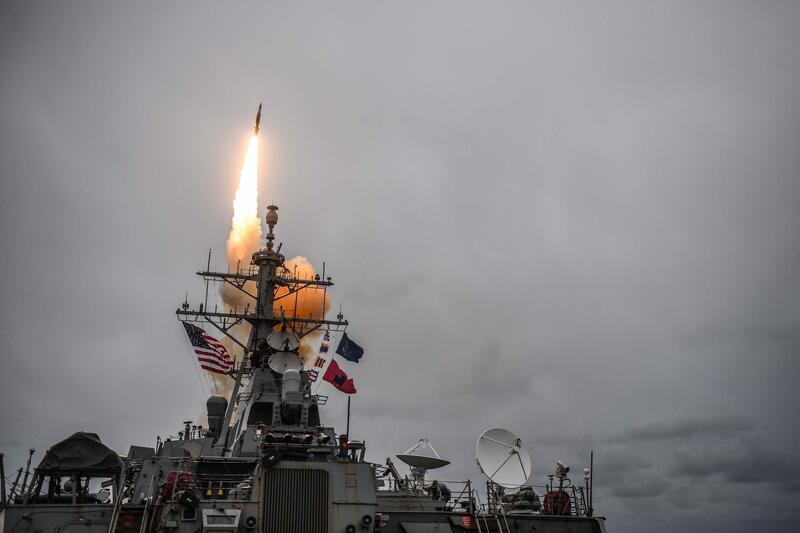 The Arleigh Burke-class guided-missile destroyer USS Donald Cook (DDG 75) fires a Standard Missile 3 over the Atlantic Ocean in October. A live testfire as seen from the aircraft carrier USS Nimitz (CVN 68), on Dec. 1, 2017, in the Pacific Ocean. Higher above the surface, the future of the naval air wing appears to be receding, at least with regard to the long-anticipated integration of unmanned aircraft. The 2019 budget proposal revealed that the planned deployment of the MQ-25 Stingray aerial refueling drone — “previously described as a rapid acquisition program for the department,” as USNI News put it, and slated for two years hence — has been pushed back to 2026. The Navy has so far declined to explain the delay. 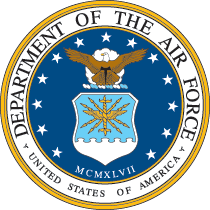 The U.S. Air Force finds itself amid several transitions. After years of shrinking, it’s adding people and planes. After years of counterinsurgency, it’s readying for fast-paced, complex war against Russia and China. After years of constrained training, training is now a top priority. “The kind of war we’ve been fighting in the Middle East may not be the same kind of fight you and I have got to prepare for in the future,” Gen. David Goldfein, the Air Force chief of staff, told hundreds of airmen assembled inside a B-52 bomber hangar at Barksdale Air Force Base in Louisiana last October. Yes, like the rest of the military, the Air Force is reworking how it thinks about future conflicts. Experts say the fight Goldfein warns of will require those additional people and planes. 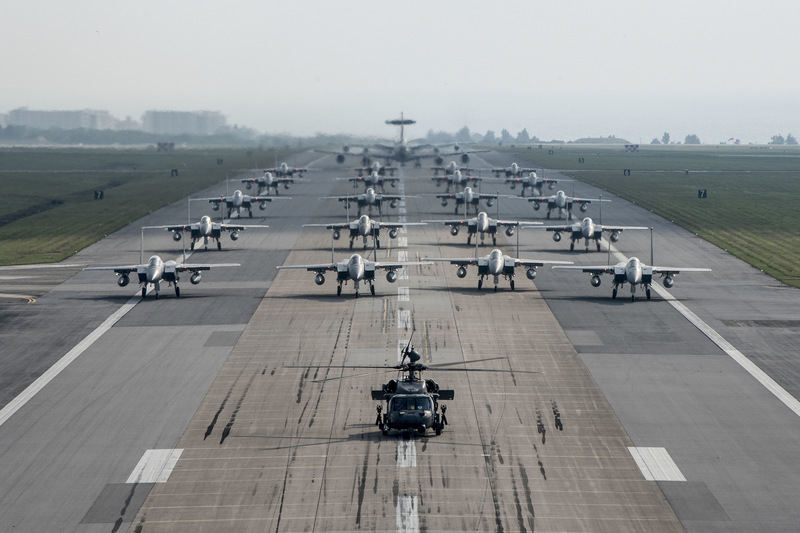 But there’s a massive roadblock in the present will determine how quickly the Air Force can grow: The budget seesawing that has been in place for the past five-plus years. 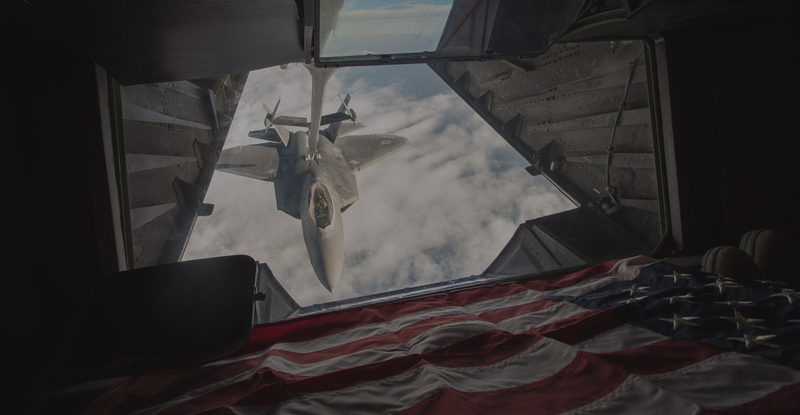 The Air Force’s 2019 budget plan — which will likely head to Congress in early February — is expected to ask for more airmen and put more money toward training and maintenance in a bid to improve readiness, according to sources with direct knowledge of the proposal. Above, an F-22 Raptor refuels over Syria on Nov. 22, 2017. 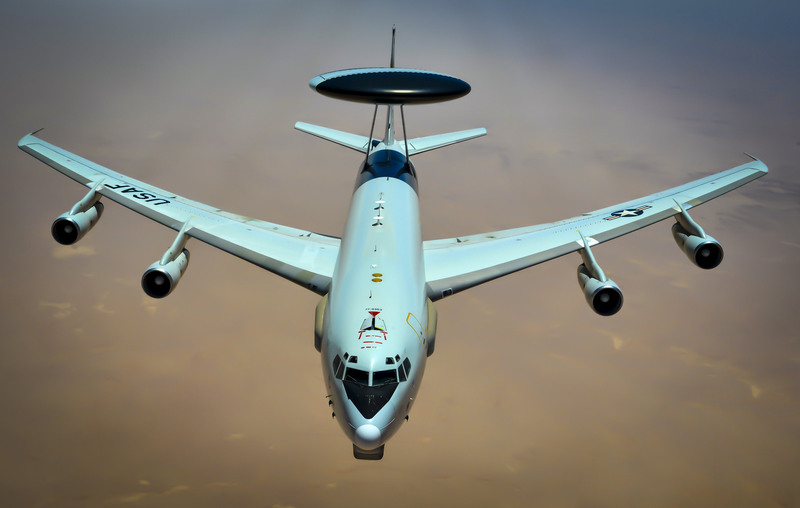 An E-3 Sentry somewhere in the war on ISIS, May 27, 2017. But the Air Force finds itself in a precarious position, trying to balance buying new, high-tech, and much more expensive planes while maintaining a fleet worn from flying counterinsurgency missions in the Middle East for the past 16 years. Air Force Secretary Heather Wilson and Goldfein have hinted that a mix of fifth-generation planes — like the F-22 Raptor, F-35 Joint Strike Fighter and B-21 bomber — combined with cheaper to operate turboprops, could be a way to balance preparing for a high-end fight, while still dealing with insurgents in the Middle East, Africa and Southeast Asia. Today, the Air Force finds itself short pilots and maintenance workers while it's trying to rebuild from 16 years of counterinsurgency. It has prioritized space and buying new nuclear weapons, while at the same time, returning to its roots roots of being dominant in air-to-air combat. “The Air Force I think has got a McDonald’s complex right here where it’s trying to do it all and say it does it all well when in fact you’re spreading that peanut butter evermore thinly over the bread,” said John “JV” Venable, a retired fighter pilot who is now an analyst with the Heritage Foundation. Depending on who you talk to, how prepared the Air Force is for a high-end war is up for debate. There’s broad agreement that airmen are prepared for the counterinsurgency flight in Afghanistan, Iraq and Syria. But what about a war against North Korea, Russia or China? Military leaders spent much of the past five years arguing its troops weren’t wholly prepared, that so-called readiness levels were falling due to a lack of money to train, upgrade aircraft and buy new ones. 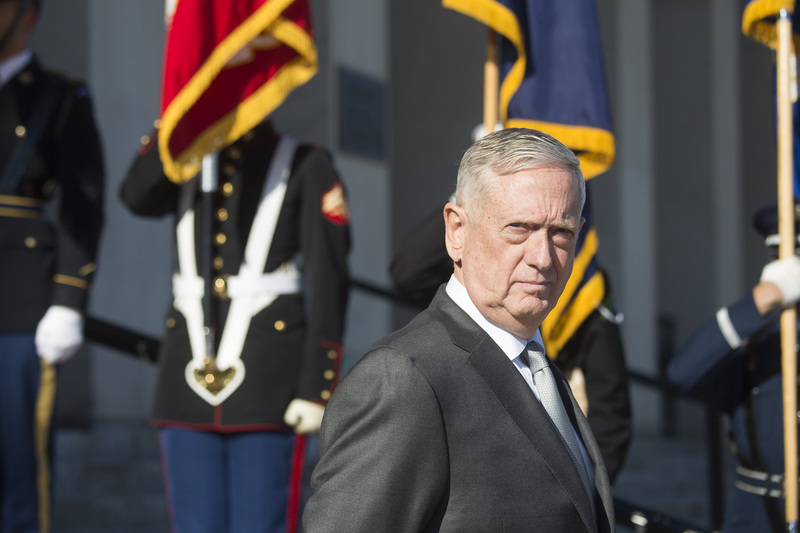 That loud drum beat has come to a deafening silence in recent months as Defense Secretary Jim Mattis feels it’s pinpointing weaknesses to enemies. “I have seen nothing that has changed the numbers,” Venable said. Right now, Air Force leaders say they are 2,000 pilots short. 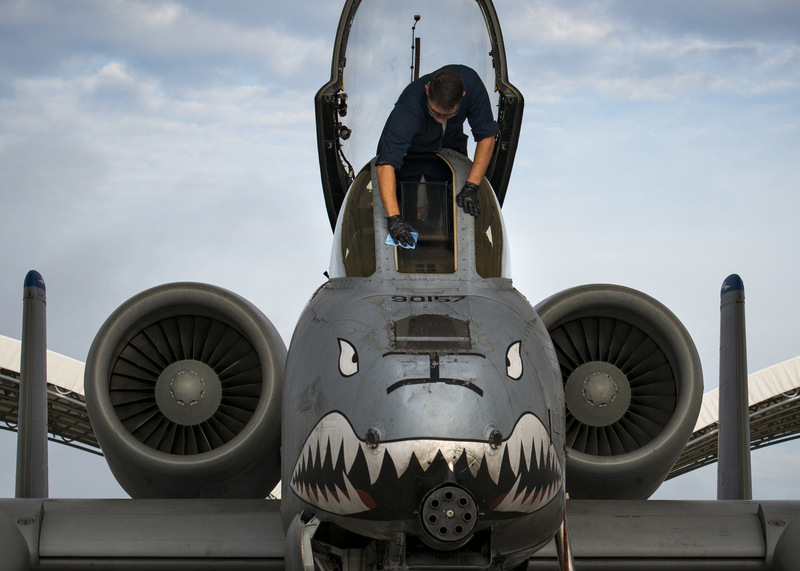 Within the Air Force, service leaders are exploring “creative ways and other and alternate paths to wings” as a way to increase the number of pilots it trains each year. Leaders are also looking for ways to increase teaming arrangements with the National Guard and using those aforementioned light-attack planes to help train more pilots annually. An A-10 Warthog at Moody Air Force Base, Ga., on May 22, 2017. Elephant walk at Kadena Air Base, Japan on April 12, 2017. Retention is a top priority for Goldfein now. “How do we improve the quality of service in ways that we can restore that work-life balance, that we can remove obstacles and impediments that are frustrating to the force, how do we improve squadrons to push decision authority down so we can make this as rich an experience as possible [so] that my hope is that we actually improve our retention number over time,” he said. A pilot shortage is something the Air Force has faced throughout its history. Retired Gen. Merril “Tony” McPeak, who was Air Force chief of staff from 1990 to 1994, recalled facing a similar challenge during his time at the Pentagon. “My thought was that we have to retain families,” McPeak said in an interview late last year. “Nowadays, most families are two-income enterprises and if you move a guy all the time his wife can’t possibly hold onto a job. “My idea back then … was leave fighter pilots where they are if that’s where they want to be and let their wife go to work and leave them there forever,” he said. Despite resistance at the time from subordinates, that type of structure was put in place. The policies allowing pilots to remain with a single wing were eventually changed by McPeak’s successors. The new National Defense Strategy is direct in that the U.S. military must prepare for a war with China and Russia. Battles in that fight could break out in dense cities, Goldfein and others warn. 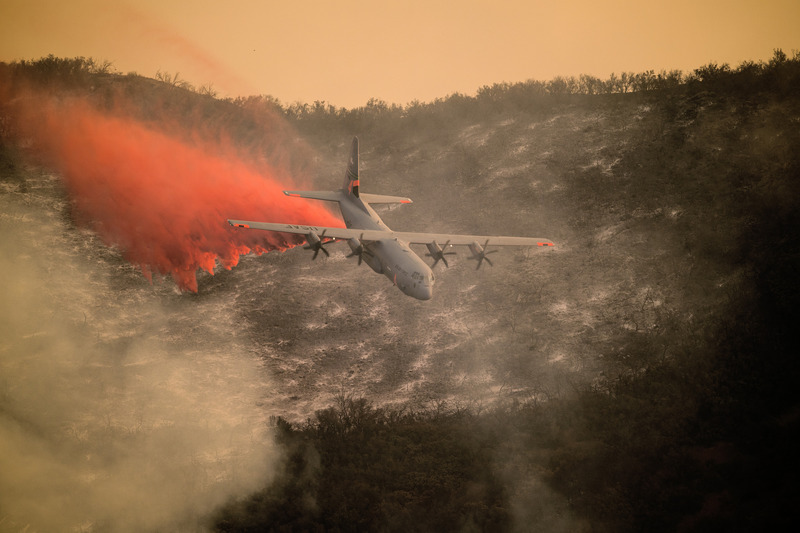 A U.S. Air National Guard C-130J Hercules aircraft fights fires above Santa Barbara, Calif., on Dec. 13, 2017. This year, the Air Force should get its first batch of new KC-46 tankers from Boeing. Goldfein has said the planes are necessary to extend the range of not only its fighter jets, but the service’s nuclear bombers. Service leaders are also expecting to choose manufacturers for new pilot training jets and missile field security helicopters. The new B-21 bomber is under construction, albeit in secrecy, with no real way independently verify its progress. New combat search-and-rescue helicopters are being built by Sikorsky. The number of F-35 Joint Strike Fighters built each year is increasing as well. Work is under way for new intercontinental ballistic missiles as well as nuclear cruise missiles. If there’s one service that embodies the tension the U.S. military faces — unable to turn away from an ongoing counterterrorism fight, but knowing it needs to refocus on great-power conflict — it’s the Marine Corps. Ask the commandant, Gen. Robert Neller, what a future fight will look like, and first he’ll tell you to take a step back. Even getting to the fight would be different in a near-peer conflict. 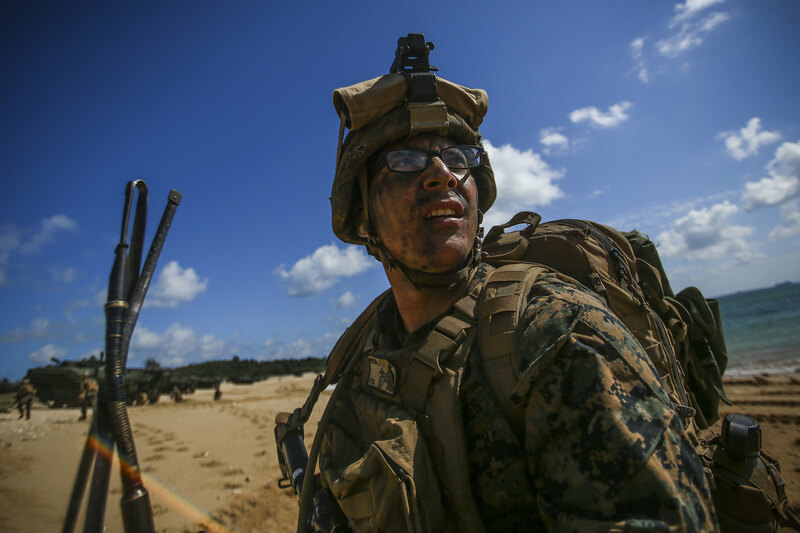 So the Marines have to look at everything from their weapons to the ships that transport them to individual Marines and how they’re equipped head-to-toe, said Lt. Gen. Brian Beaudreault, the deputy commandant for plans, policies, and operations. Above, Commandant of the Marine Corps Gen. Robert B. Neller speaks at Naval Air Station Sigonella, Italy, on Christmas Day. 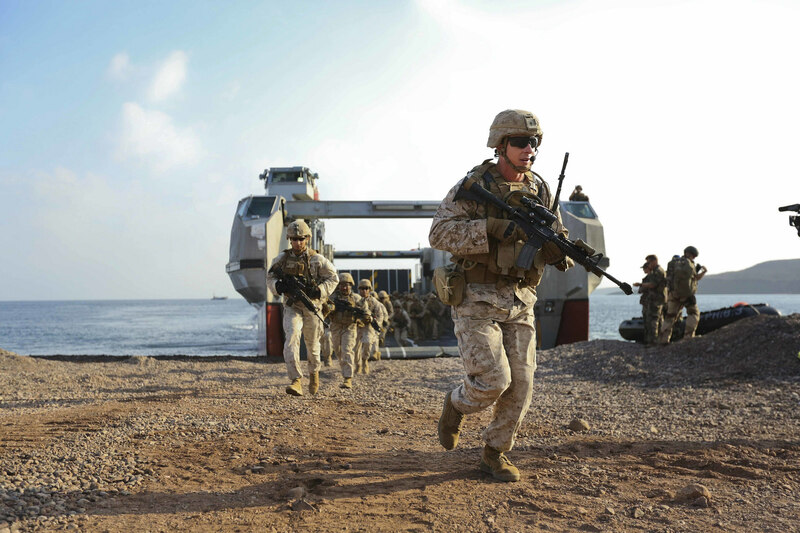 U.S. Marines assault the Arta Beach in Djibouti on Dec. 20, 2017. What they want: To get more amphibious assault ships, yes, but also to think beyond the standard amphibs-as-shuttle-buses construct, and turn them into lethal platforms of their own. To get longer-range precision fires, ways to neutralize adversaries’ anti-ship cruise missiles and other coastal defenses, tools to counter IEDs and drones, and modernized ground vehicles. To retire old equipment, and speed the introduction of high-end weapons like the F-35 Lightning II. And above all, to modernize its electronic, information, and cyber warfare domains to safeguard the networks that will tie all those capabilities together. 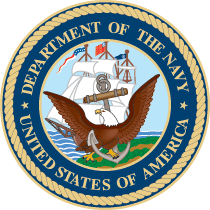 "Fundamentally, it's about controlling the electromagnetic spectrum," Beaudreault said at the annual meeting of the Surface Navy Association earlier this month. “These are things that have been written about for years — the threat is now, the future is now.” The 2019 budget request starts to address those priorities, and includes “a lot of modernization;” certain acquisitions, including funding for the next connector ships; and “a lot of underwater, unmanned capability,” Neller said. 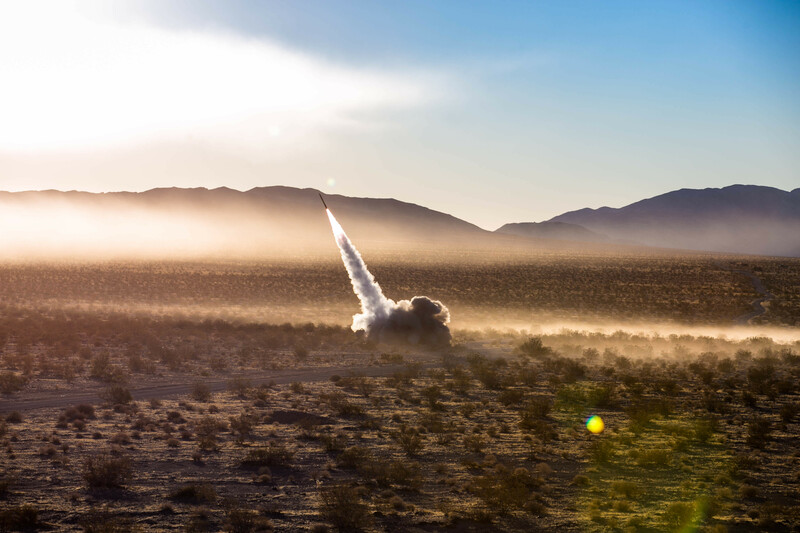 A High Mobility Artillery Rocket System fires from a Guided Multiple Launch Rocket System at Twentynine Palms, Calif., on Dec. 7, 2017. But that’s all difficult to fully fund when the Corps is still deploying troops more often than it wants, when its aircraft are still overtaxed from nearly two decades of war, when basic readiness is still a work in progress. The USMC is alone among the services in exiting the wars with more active duty servicemembers than it went in with (185,000 to 172,600), but unlike the Army, it’s not trying to grow to meet operational demands. The Corps intentionally requested flat end strength in the 2018 and 2019 budgets in order to prioritize readiness of existing forces and modernize its equipment. 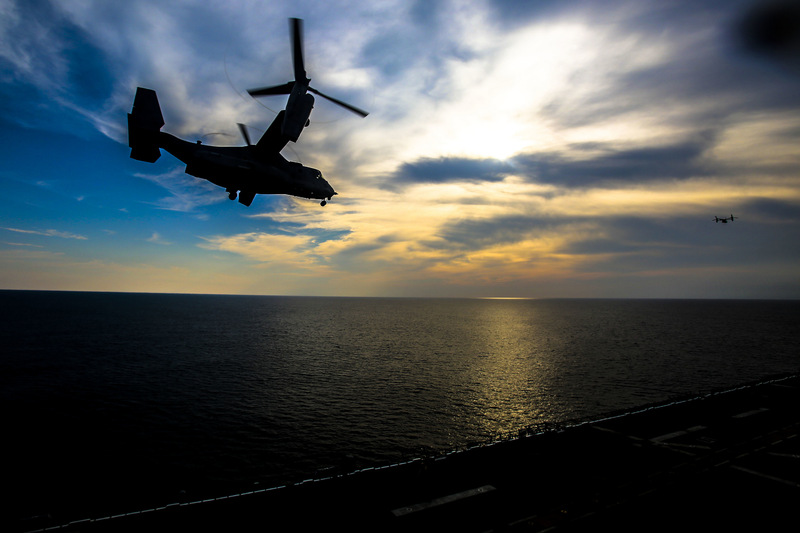 Right now, Marines are operating in 56 countries around the world, with no end in sight. In fact, just last year, the Marines returned to Afghanistan. About 300 Marines from Task Force Southwest spent nine months in Helmand advising and assisting the Afghan army and national police; a second rotation replaced the original detachment at the start of this year. 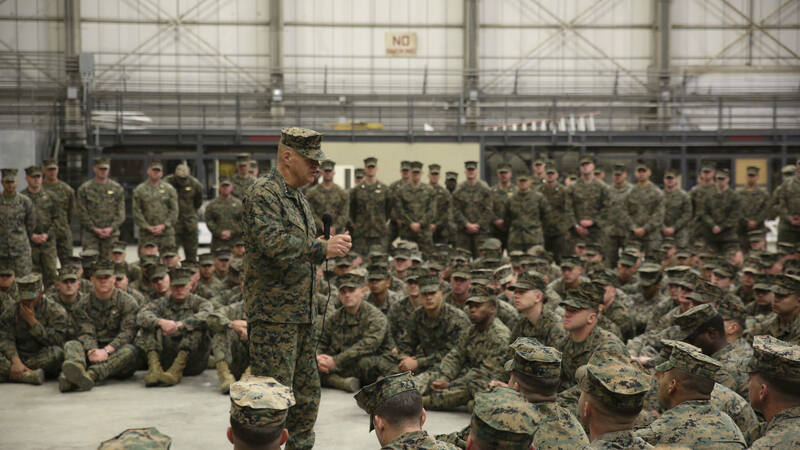 The brigadier general leading the newly arrived Marines said his dispatch has the authority to fight alongside their Afghan counterparts — a departure from the careful language that the Corps had used to describe its train-advise-and-assist mission for the last nine months. 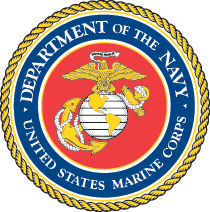 Then there are still the two Special-Purpose Marine Air-Ground Task Forces for crisis response, set up in the wake of the infamous attack on the U.S. embassy in Benghazi. The unit assigned to U.S. Africa Command is so in-demand it’s spending more time at its forward hub in Italy than its usual home in Moron, Spain. And the group with Central Command have been quietly tapped for sensitive missions to hotspots throughout Iraq. These ever more sought-after units are “a peek into the Marine Corps' future,” the colonel in charge of the latter task force said last year. An amphibious assault at Kin Blue Beach, Okinawa, Japan on Nov 2, 2017. 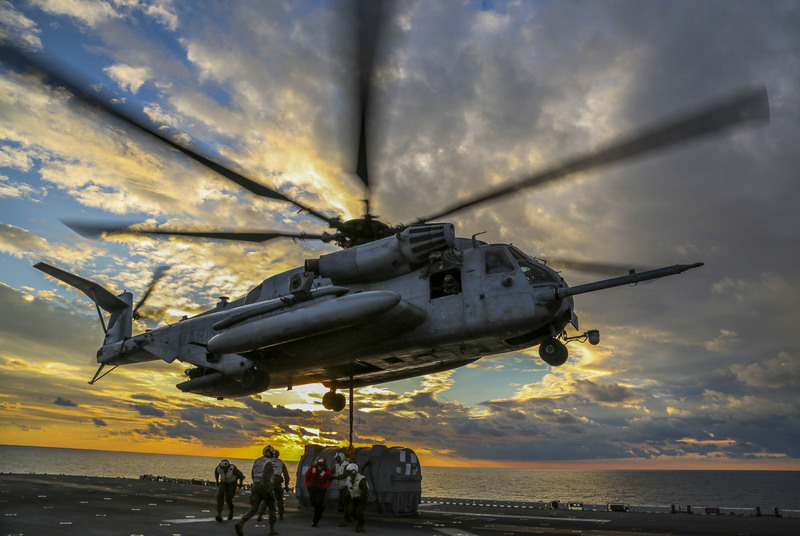 A CH-53E Super Stallion helicopter flies over the Atlantic Ocean on Dec. 1, 2017. So the Corps is finding creative ways to start building the knowledge and skills they say they’ll need for a fight. Worried about what it would take to fight a resurgent Russia? Send 300 Marines to Norway. Relearn cold-weather fighting skills. Train alongside the NATO ally with the northernmost border with Russia, and other allies while you’re there, too. Discover that the boots you have right now might as well be “Mickey Mouse boots,” for all the warmth they provide, and start buying better cold-weather gear. It’s not a long-term solution for addressing an institution-wide shortfall, but it’s a start, says Heritage Foundation military analyst Dakota Wood. That deployment continues this year. And although the USMC has yet to commit resources, they are expected to join the “high visibility” Trident Juncture exercise — one of NATO’s largest — later this fall. Another way the Corps is trying to move ahead: Trial-by-fire testing of new technologies and off-the-shelf products. The 3rd Battalion, 5th Marines has spent the last two years as the Corps’ “experimental battalion.” They were kitted out with unmanned systems and other new technologies, sent out on a regularly scheduled deployment, and given free rein to play around with the products and test their usefulness. Leadership then worked to find funds or start programs to field anything promising. Next up: an experimental logistics battalion. That’ll give the Corps a chance to explore distributed manufacturing, how unmanned systems can help deliver supplies and even people, and how 3D printing could help separate deployed forces from a long, geographically-tied supply chain. In a resource-constrained environment where the number of counterterrorism hotspots will only grow, the experimental battalions and the small deployments to relearn different fighting environments are all ways of carefully treading the balance between the wars of today, and the fears of 15 years in the future. An MV-22B Osprey over the Atlantic Ocean on Nov. 7, 2017.